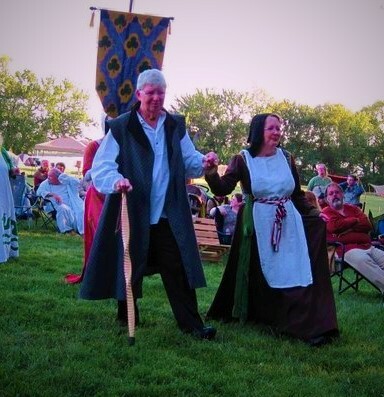 While writing my recent post "How to Find the Script Your Persona Might Have Used" I came across an article relevant to Jehanne Bening, my SCA persona. The article described a manuscript production method used in Bruges and Delf. Would this have affected Jehanne's illumination or life style? Jehanne is from the town of Bruges in the Duchy of Burgundy and works in the Sanders Bening workshop. Sanders, who died in 1519, was the father of the well-known illuminator Simon Bening. And his workshop produced many fine things for the Dukes of Burgundy. Around the 14th-century literacy increased and the new urban classes wanted affordable books. Manuscript production methods changed to accommodate this. The personal Book of Hours developed during that time. It contained fewer standard texts than the formal Psalter with some sections chosen by the buyer. The Book of Hours also differed in use from the Psalter. It was not always read from beginning to end. A section might be selected by the reader as needed or inspired. More whimsically. In some areas, manuscripts became created by modular construction that divided labor efficiently. This benefited book owners, who could pick desired texts for their manuscript and expand or change their book after they bought it if they chose. They could also be made "generically" for an undetermined future buyer. More books could be sold and more money made for the manuscript producer. The modular production worked well when making a Book of Hours because their sections were individually chosen and their order varied between manuscripts. And all were influenced by the location where the book would be used. The impulsive reading style and urban economy combined causing manuscripts in Jehanne's area and time to be written and created differently from psalters. They were made in smaller units combined during binding, just as they were read by choosing an inspiring section. Paleographers can determine the book's original material and that added after the manuscript was finished. This reveals workshop practices in Bruges where Jehanne worked used this modular construction, though other areas did not. This information is also interesting to me as a scribe today. Knowing the style may vary within a 14th- or 15th-century manuscript, it is easier for me to see when I look at online manuscripts with many pages. It also explains blank pages and textless illuminated borders. Before the Internet, this could only be done through viewing original manuscripts or perhaps looking at certain facsimiles. This modular creation system allowed Jehanne to work with other scribes on one manuscript. 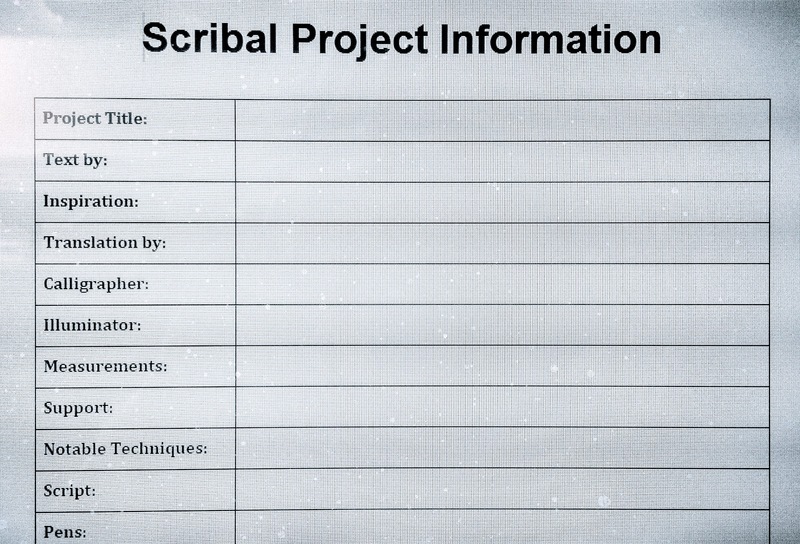 Each scribe could still work within their skill and expertise areas. The modular construction lead to personalized standard books, helped control costs and boosted manuscript sales. It was also job security for Jehanne. Why do I continue to drive hours to attend events? 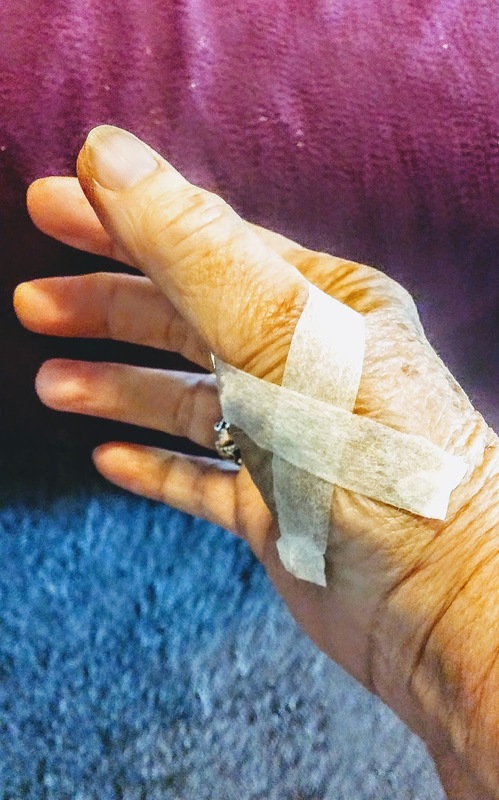 What's the magnet and appeal for a Golden-ager, like me? For over 20 years, I've loved the SCA for encouraging wholehearted learning and skill growth. You saw this in the quality hand crafted largess presented at an event. Carved wood, needlework, weaving, clothing, and pottery, to name a few. That couldn't be the attraction, as I made many of these myself since I joined in 1991. 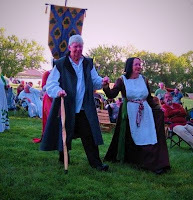 The SCA is attractive for its fun and spirit. It is a place where, no matter your age, size, shape, gender or color you can wear a coronet, hat or wreath in your hair and feel beautiful. You can flirt and tease the guys your son's age because it amuses you. 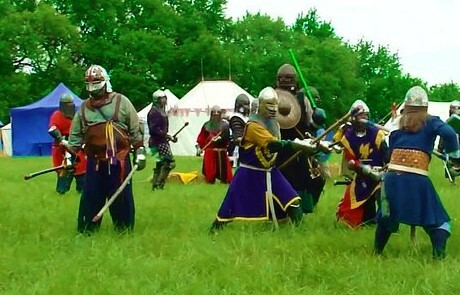 Or, if you choose, a woman can put on armor and do combat with large, sweaty men. Whatever your current mania you learn from leaders, compete and feel pride in your prowess. For guys, it's a place the nerdy (who are most of us) train, compete and feel like warriors. Important, superior. Where bragging-rites are expected and made into songs. The SCA, especially Calontir, is a place of kindness and acceptance, that respects you for being you. I often see a first-row seat forfeited so that another did not have to do auditorium steps. I receive kind assistance to stand after sitting on the floor during a presentation. The SCA strives for medieval ambiance, omitting things like the plaque. Even so, you don't notice glasses on faces. Your mind somehow factors them out. With the graying of the Society, there are more things to mentally gloss over, like mobility scooters and walkers. It feels good to escape to where you are accepted, feel beautiful, and strong. A form of magic moment in which you are young again, if only at heart. Why wouldn't you return to it as often as possible to experience the joy? I've looked at many lovely scrolls and scribal works on the Internet. 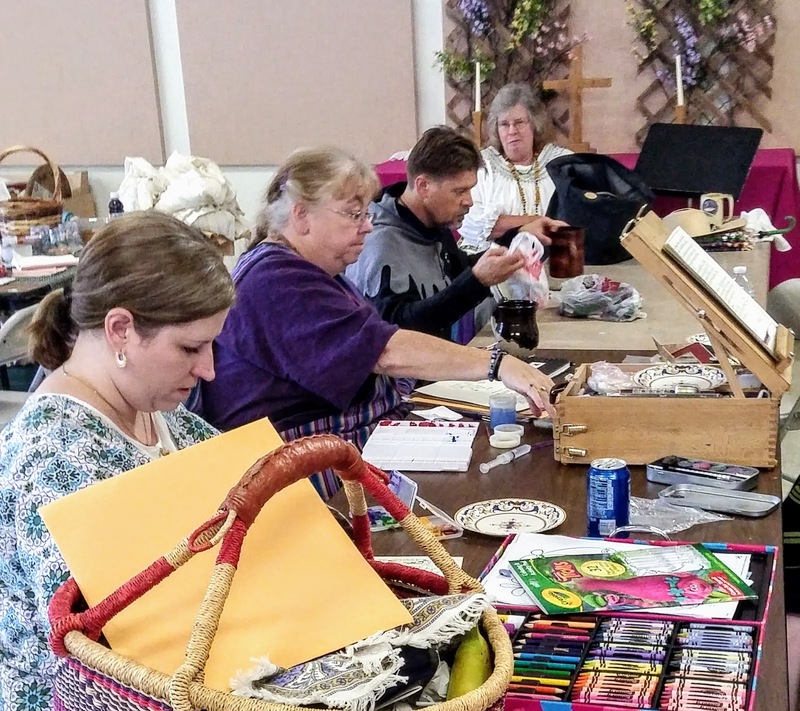 Many Kingdoms, Scribal Guilds, and Bloggers display multiple, well-crafted scrolls. I enjoy reading about the techniques and materials scribes use to create their art. I sometimes wonder about information that wasn't included with the image. Often it's about the inspiring text source. But not always. Since my Laureling my own scroll records are scant, some totally missing. I was much better when my Peer might ask for my notes at any time. I'm not into record keeping so I won't fault others. I hope you find this simple form a useful convenience. Ten years from now, may you still be adding scrolls to it. Your SCA experiences, the history you learn and the items you re-create are what the Society for Creative Anachronism is all about. If you are like me and want to share these with others you might want to blog about it, too. Since I enjoyed writing class handouts and competition documentation I thought blogging would be easy. But there's a difference. Your blog is your story. It is like writing a long letter to a friend when you're visiting another country. You're excited and want to share what you've seen, learned and done. When I blog I "show and tell" the details of what I see, hear, and feel. My curiosity, obstacles, and end results, whatever they are. Occasionally I post a "rant" about a personal experience or viewpoint, but I tell you it's my opinion. That's important because everything posted is public and permanent. I only post what I want the world to know now and forever. My number one guide is to write to you, my reader, whoever you may be. Without you, I might as well be writing a secret diary. While I'm not perfect, as I write I consider your viewpoint and what my post means to you. Although difficult after 30+ years in the SCA, I try to limit jargon to the necessary terms. I know my posts are longer than the common six blog paragraphs. I like to vary their length and write more when the subject needs it. I try to verify information and link to sources. I think blogging is a great way to share thoughts, opinions, and knowledge. It is time well spent learning, creating, and watching my blog grow. I love when you comment back. I recommended it to you for the change it causes in your life. I do everything I know how to letter a neat clean scroll, but it happens. I'm half done, or more, and I splatter the ink, leave out a text word, or some other goof. The neatest way to handle this is to start over. The best way is to avoid making the mistake. Corrections, some very silly ones, are period, but they don't completely hide my error. At least I know when it's there. What can I do to prevent mistakes? Here are the tricks I already use. When I'm working I use scrap paper over the area I have yet to letter. I may also cover the area I plan to illuminate. This will avoid smears and splatters. I keep my ink to the right because I am right handed. This cuts down reaching over my working area. I want my ink in a container I won't spill, handy, but not too close. I don't eat in my studio either. And keep beverages in a covered cup. I check the spelling of all names: Monarchs, recipients, local groups, orders and anything with unusual spelling. I practice my chosen script, spending extra time on letters I find tricky. I work up spacing on my computer, using the mockup to reduce omitted letters. I don't often use an unfamiliar support or ink, but when I do I practice with it first. Papers feel different to the pen depending on their sizing and other texture. Ink density may vary. I want to know what I'm using so I test first and adjust if necessary. After designing a mockup, I do the lettering, gilding, and painting. Usually, I begin with lettering. It is the most difficult to correct and has a long tradition of being done before illumination. There are so many possibilities for errors. I think I've made them all. If I have more support I prefer to start over. It's time-consuming, costly, and sad to not be able to use a gilded and illuminated border because of a lettering error. Gilding is done next. When I'm gilding I cover areas I'm not working to prevent pesky gold flecks attaching to unwanted places. It doesn't take much for them to do this either. Finally, I get to the illumination, the most fun. It's also the easiest to correct. Depending on the support I can gently scrape off errors and repaint. I might turn the flaw into an artistic motif. 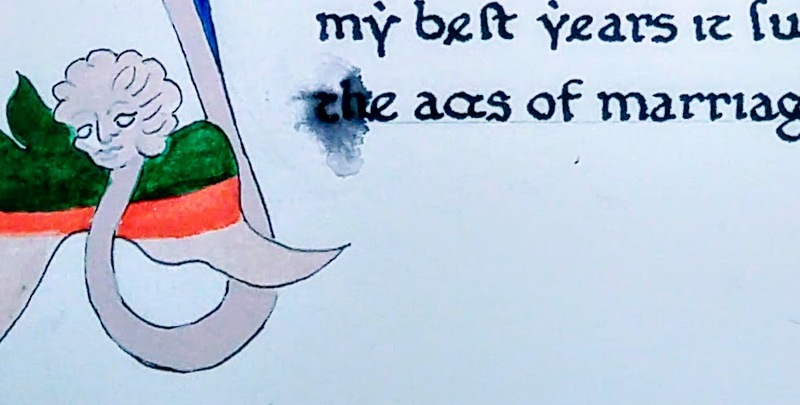 I've been doing calligraphy and illuminated scrolls over 15 years and I still make mistakes. I take every precaution I know. If you know of others I would enjoy learning them as would other readers. My biggest joy is providing a well-done scroll for Their Majesties to present.